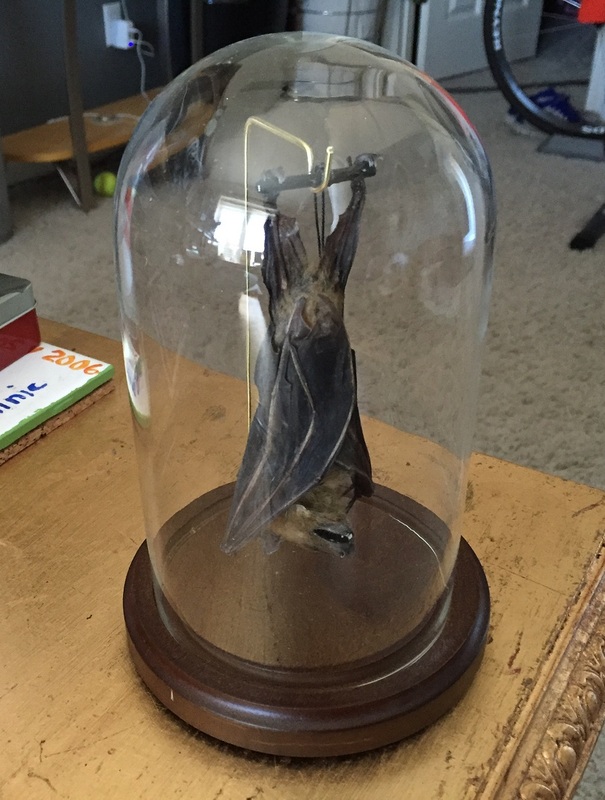 Gothic Museum Quality Piece: Bat in Glass Dome. Wow!! What a Great Specimen. Displayed beautifully in a 4 inch by 7 inch glass dome with a solid walnut base. 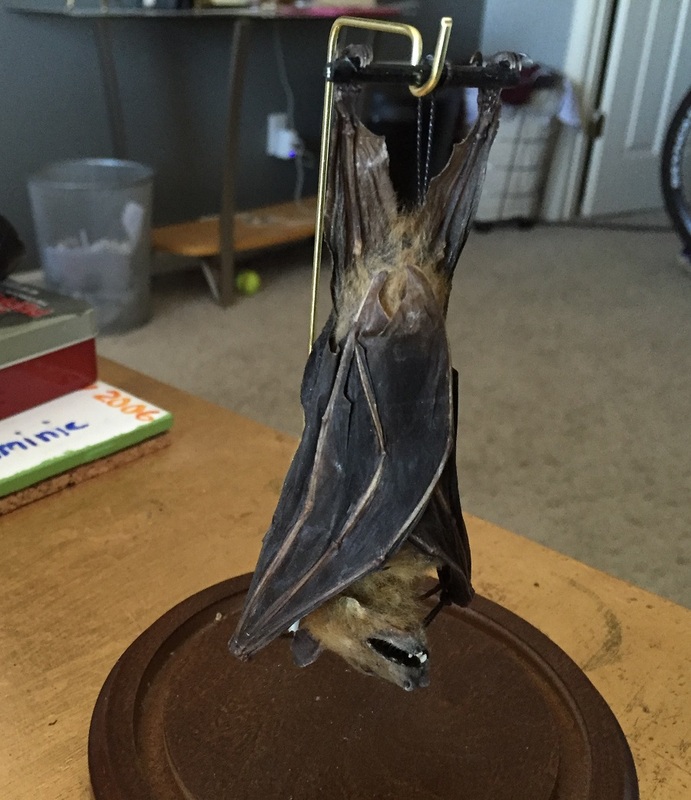 Bat is approximately 5 inches long. This exquisite item will make a wonderful edition to any man cave display! Superior piece that will display well anywhere. Classic Steampunk Scientic Item. WOW! 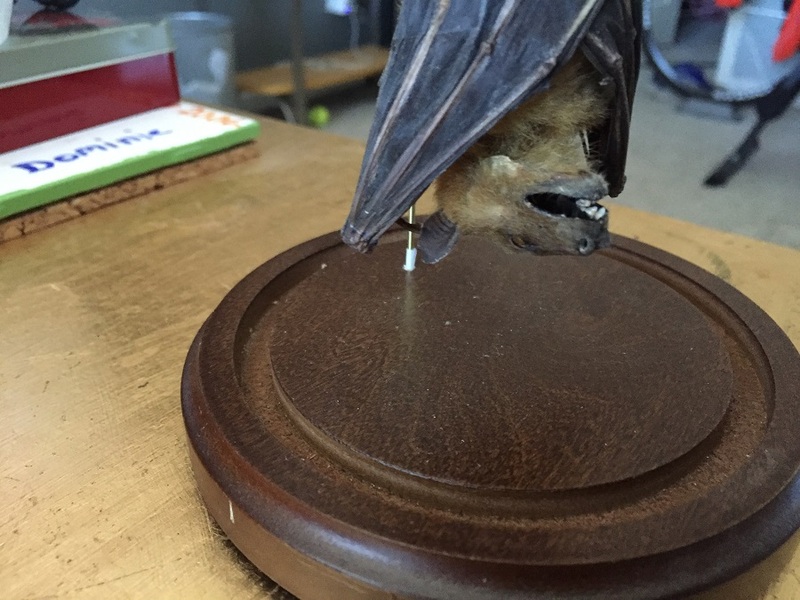 All specimens are legally collected and they are legal to sell. None of these specimens are listed in appendix I, II, or III of Cites, they are not endangered or threatened.